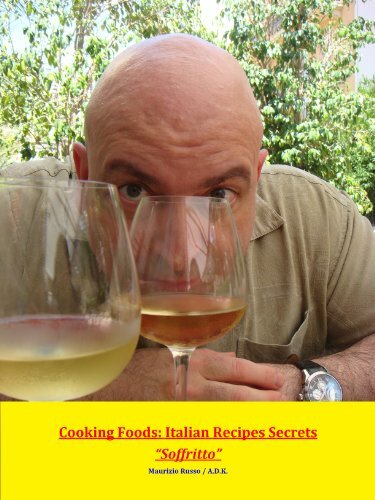 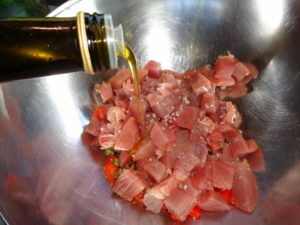 Extra virgin olive oil – two or three spoons. 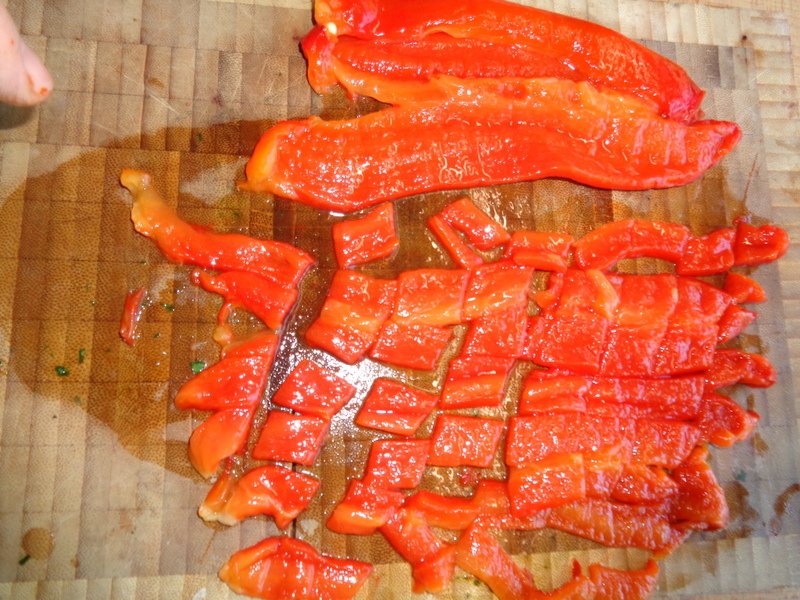 I have already roasted in the oven the pepper-bell. 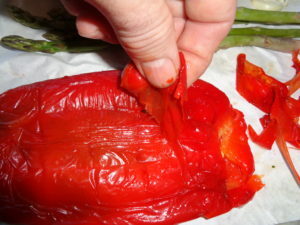 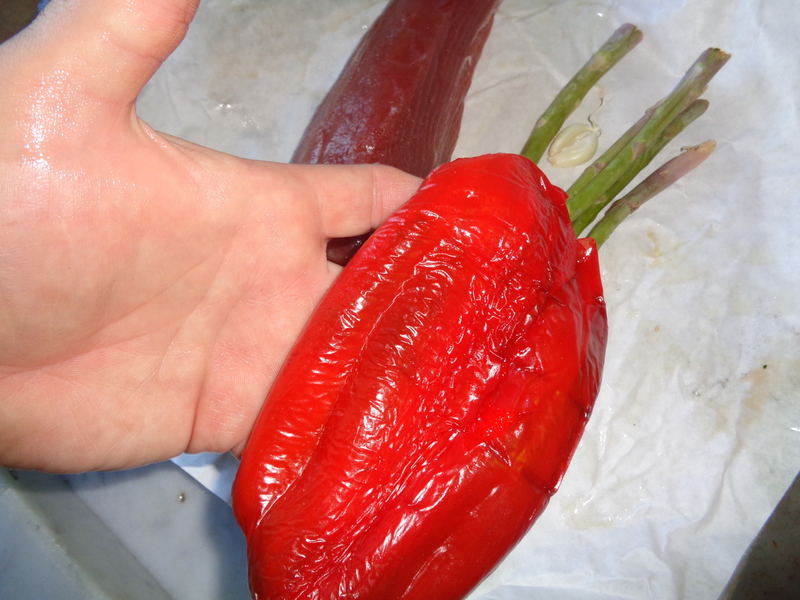 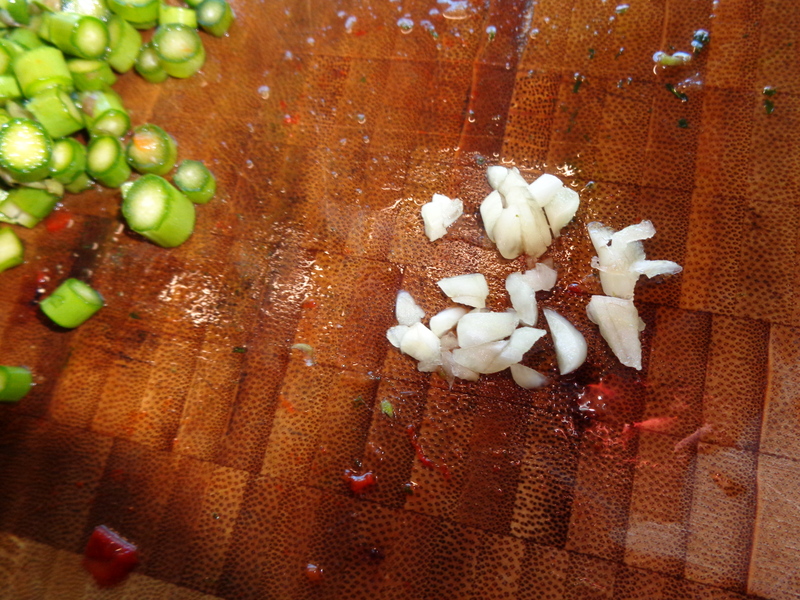 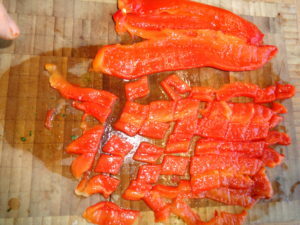 Cut in small pieces (half inch) the pepper-bell. 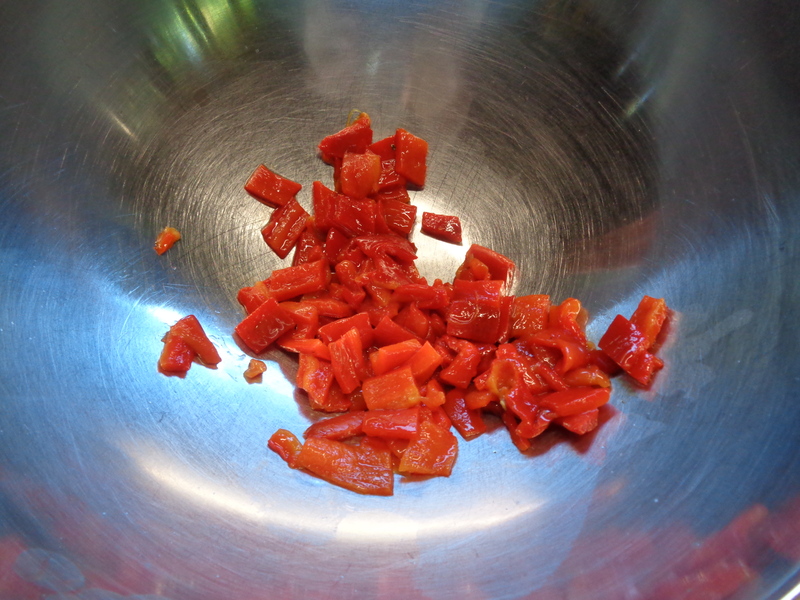 Put the pepper-bell inside a bowl. 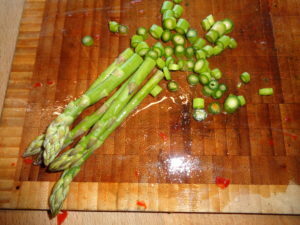 Take only the tender part of the asparagus. 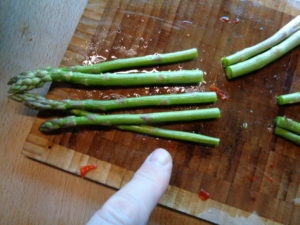 Cut the asparagus in small wheels. Put the asparagus in the bowl along with the pepper-bell. I like to add a bit of garlic. 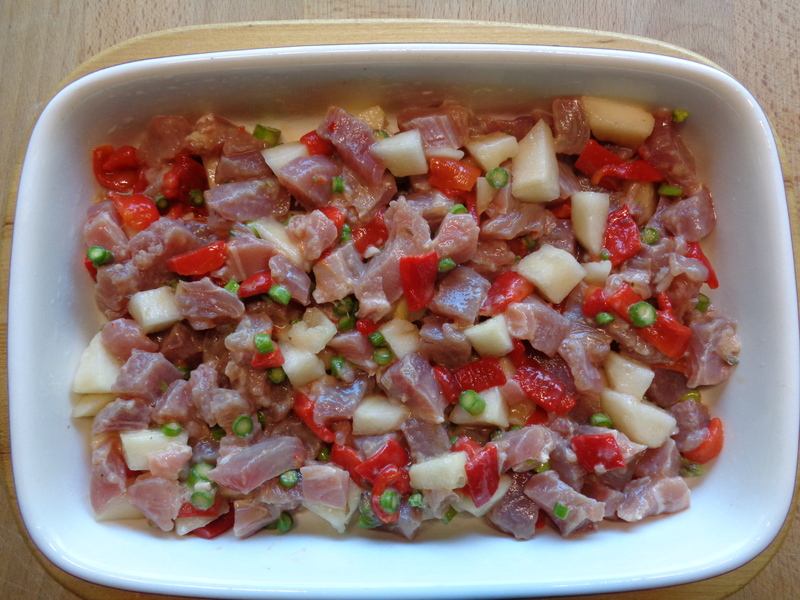 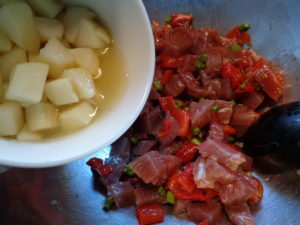 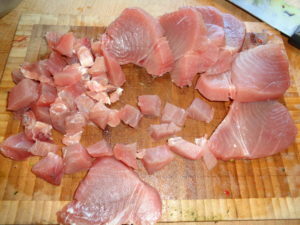 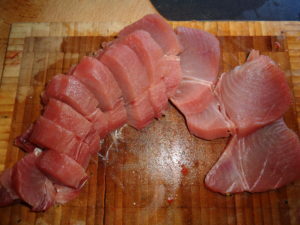 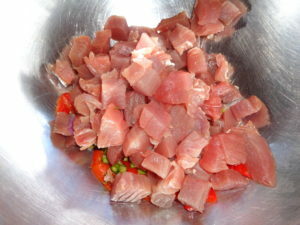 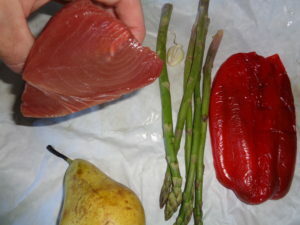 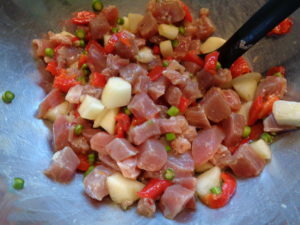 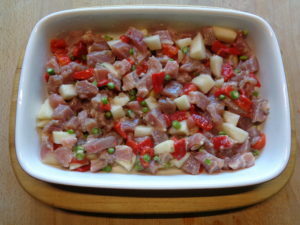 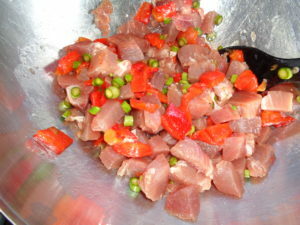 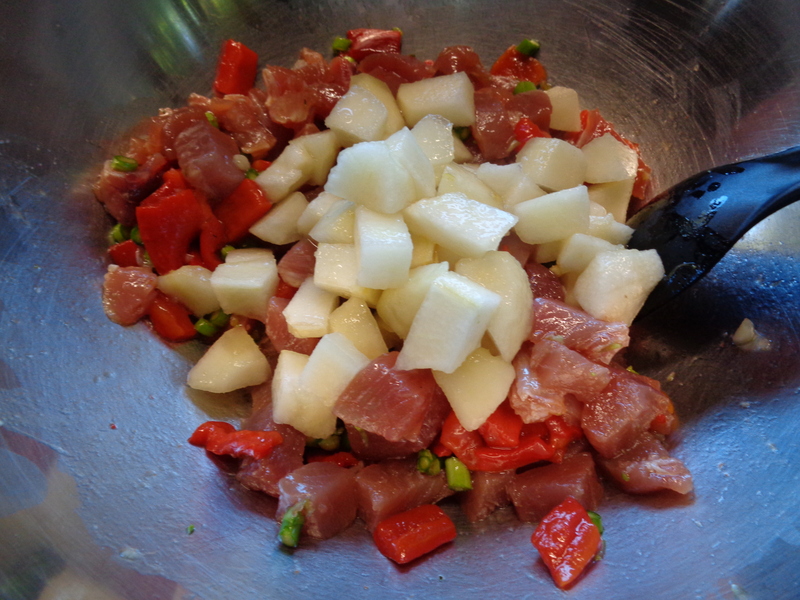 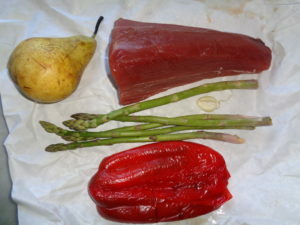 Cut the tuna in slices one inch thick. 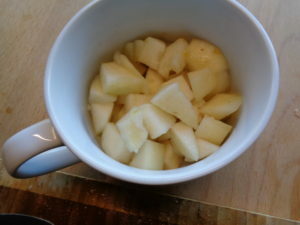 Cut the slices in to cubes. Put the tune in to the bowl. 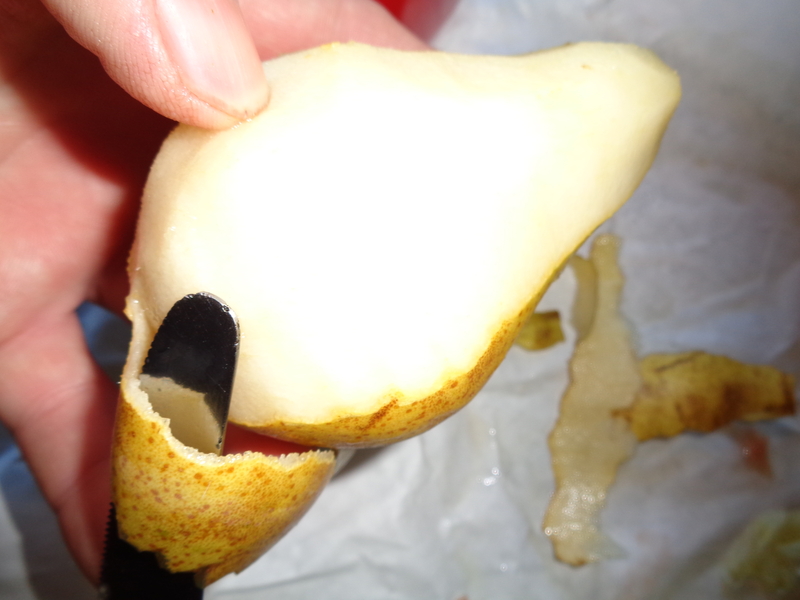 Peel the pear, clean from the seeds. Cut the pear in small cubes (one inch), put inside a cup. 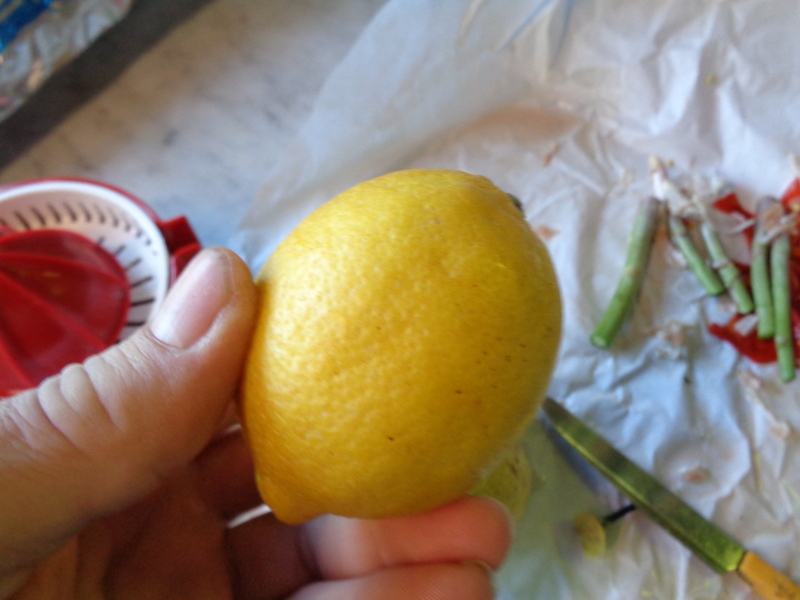 Add the lemon juice to the pear, leave to marinade 5 minutes. Add one pinch of marine salt in the bowl. Add one (or two) spoons of extra virgin olive oil in the bowl. 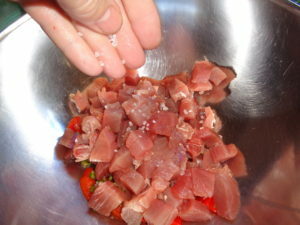 Stir well mixing the tuna with the rest. Add the pear with the lemon juice to the bowl. 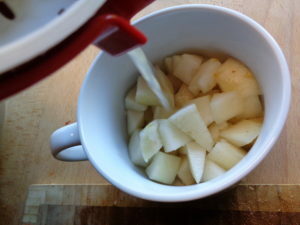 Stir well again before to put in the plate.